Their characteristic features are their quite work, reliability and easy use. These systems have proven to be ideal drives for net curtains and curtains in flats, detached houses and public utility buildings. 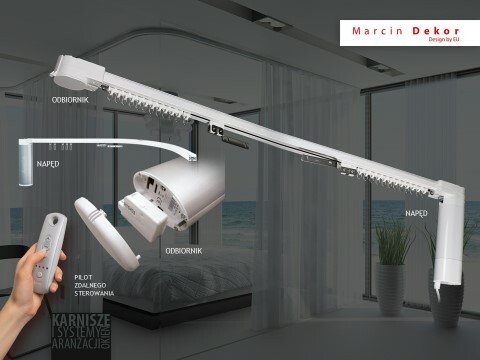 They can be installed both on walls and ceilings. – combined systems composed of remote controls and switches. 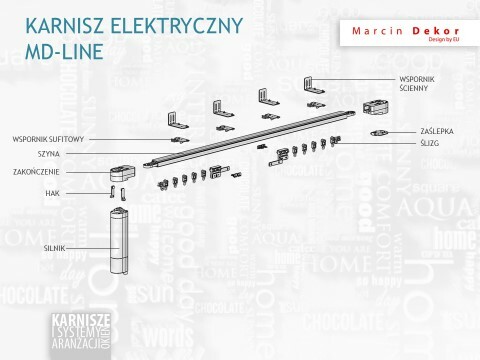 Electrical curtain rod systems are also compatible with intelligent building control systems. We offer 4 types of motors depending on the weight of the fabric and type of control. One of the most important features of these system is the possibility of bending the curtain rods to form arches and point bending. Another advantage enhancing the functionality and comfort of use of that control system is TOUCH MOTION function, which allows the users to activate the drive by delicately pulling the fabric. An important and necessary action required in case of these systems is prior designing of an appropriate electrical installation during the phase of designing the interior. It is useful to contact the dealer beforehand and get additional information.